Description: On July 13, Morgan’s raiders crossed into Ohio at Harrison, pursued by several columns of Union cavalry under overall direction of Brig. 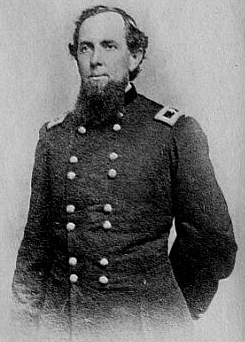 Gen. Edward H. Hobson. On July 19, Kautz’s and Judah’s brigades attacked Morgan near Buffington Island. During the night, Morgan and about 400 men escaped encirclement by following a narrow woods path. The rest of his force surrendered. 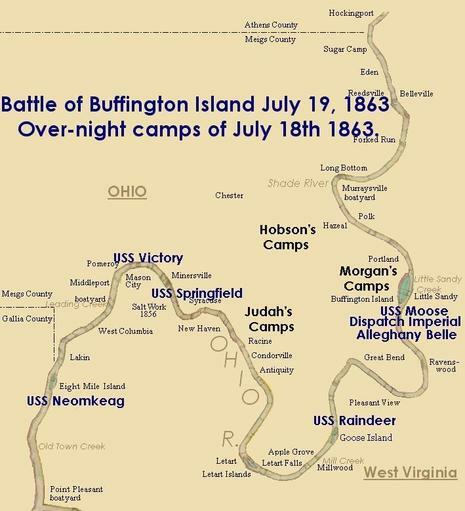 The Battle of Buffington Island, also known as the St. Georges Creek Skirmish, was an American Civil War engagement in Meigs County, Ohio, on July 19, 1863, during Morgan's Raid. The largest battle in Ohio during the war, Buffington Island contributed to the capture of the famed Confederate cavalry raider, Brig. 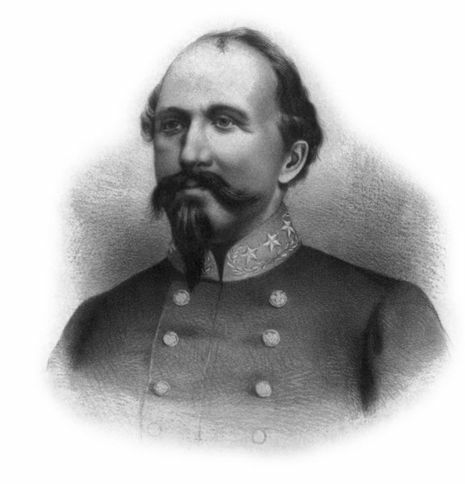 Gen. John Hunt Morgan, who was seeking to escape Union army pursuers across the Ohio River at a ford opposite Buffington Island. Delayed overnight, Morgan was almost surrounded by Federal cavalry the next day, and the resulting battle ended in a Confederate rout, with over half of the 1,700-man Confederate force being captured. General Morgan and some 700 men escaped, but the daring raid finally ended on July 26 with his surrender after the Battle of Salineville. Morgan's Raid was of little military consequence, but it did spread terror among much of the population of southern and eastern Ohio, as well as neighboring Indiana.